These spyshots confirm the existence of a Jaguar F-Type coupé. It makes sense for Jaguar to produce a hard top version of the F-Type, after all the XK comes in convertible and coupé forms. 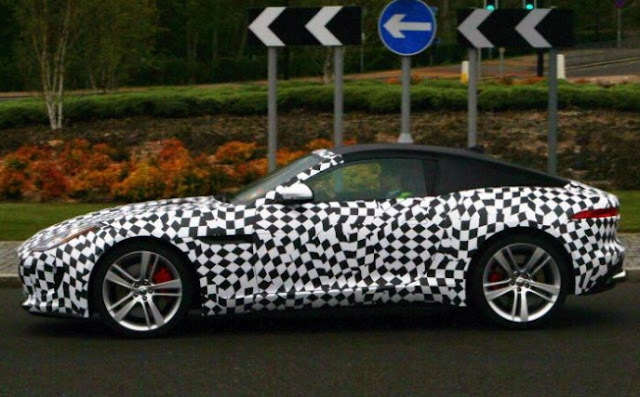 It's not going to be too difficult for Jaguar to slap a roof on the F-Type, but it does make sense for them to take their time before launching it. And driving a barely disguised coupé like this one round the streets of Gaydon won't exactly hurt its prospects. The rumour mill can be a good thing in driving up interest. 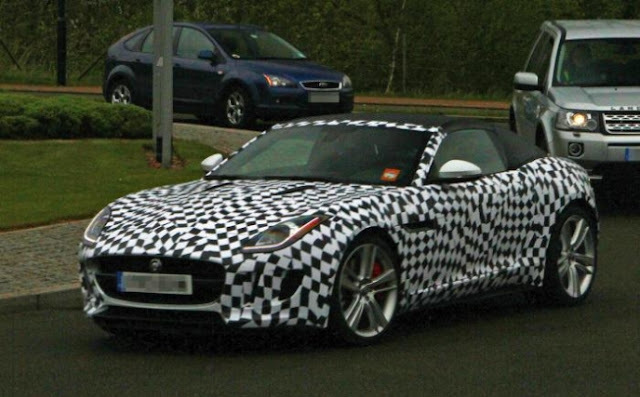 When I visited the Jaguar factory back in Castle Bromwich back in March to see the F-Type being made I asked about an F-Type coupe. "Let's get the convertible out of the way first," was the answer. 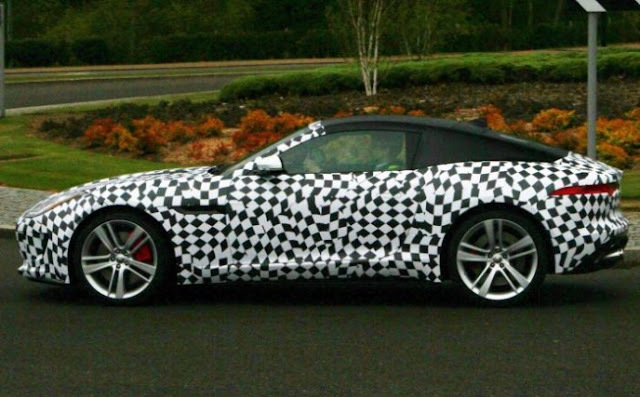 Ian Callum, on Twitter, keeps letting out little nuggets of information when asked about a coupé F-Type. 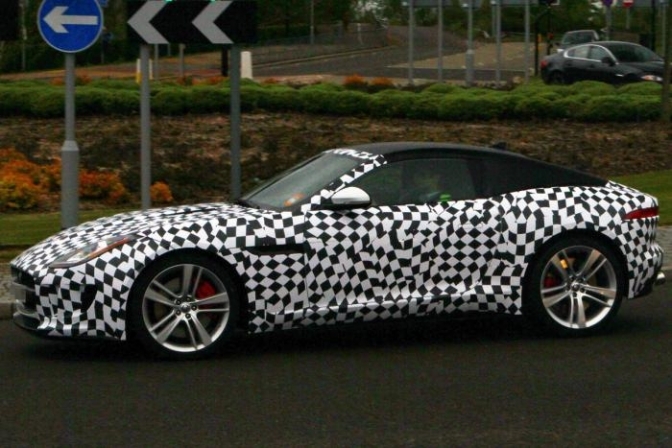 His latest, when asked if the coupé will be better looking than the convertible: "Could be..."
So, it's on its way and we should see more prototype photos before the launch. Expect the Jaguar F-Type coupe to be on sale in late 2014/early 2015.